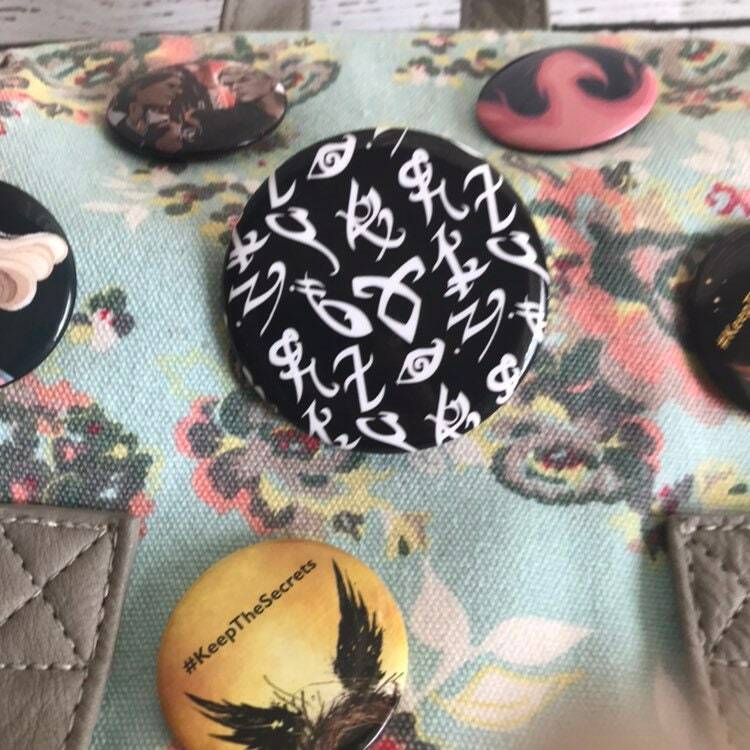 Are you a fan of The Shadowhunter Chronicles by Cassandra Clare? 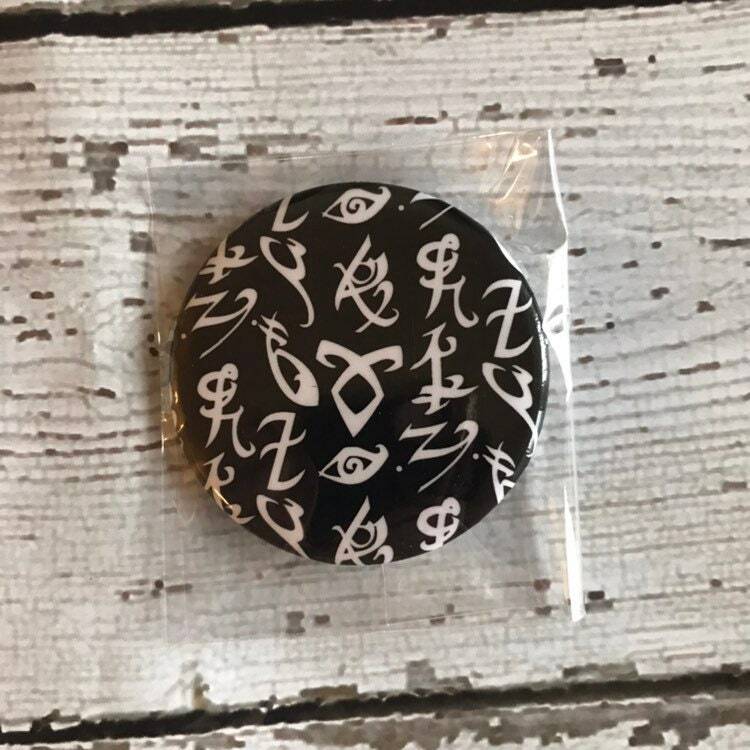 Does Jace, Jem, Will, Alec, Simon, Julian or (insert character name here) make your heart swoon? 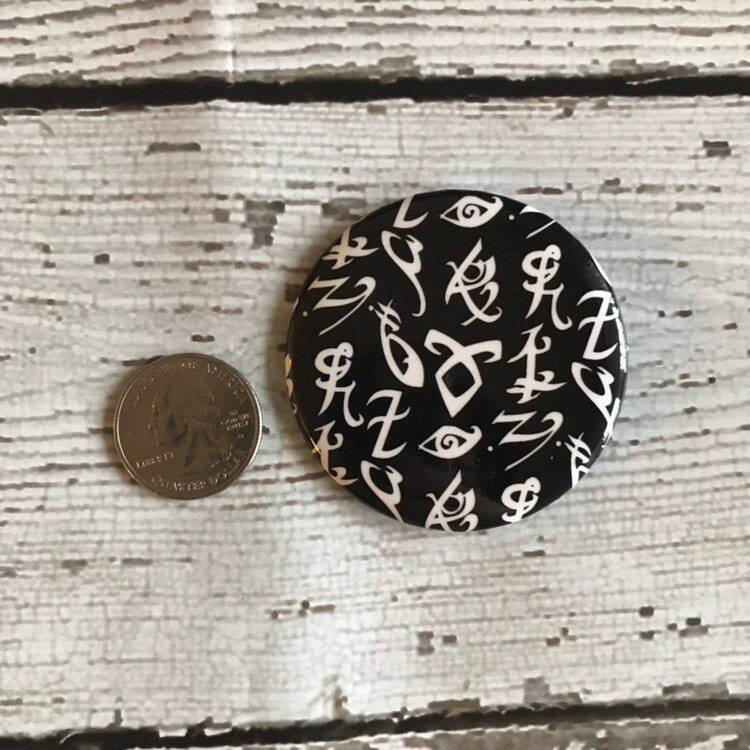 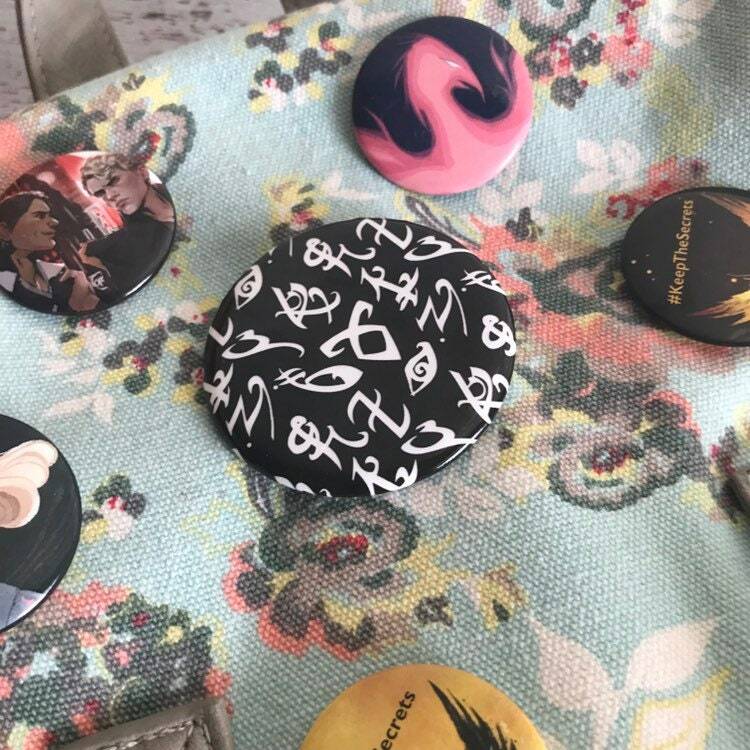 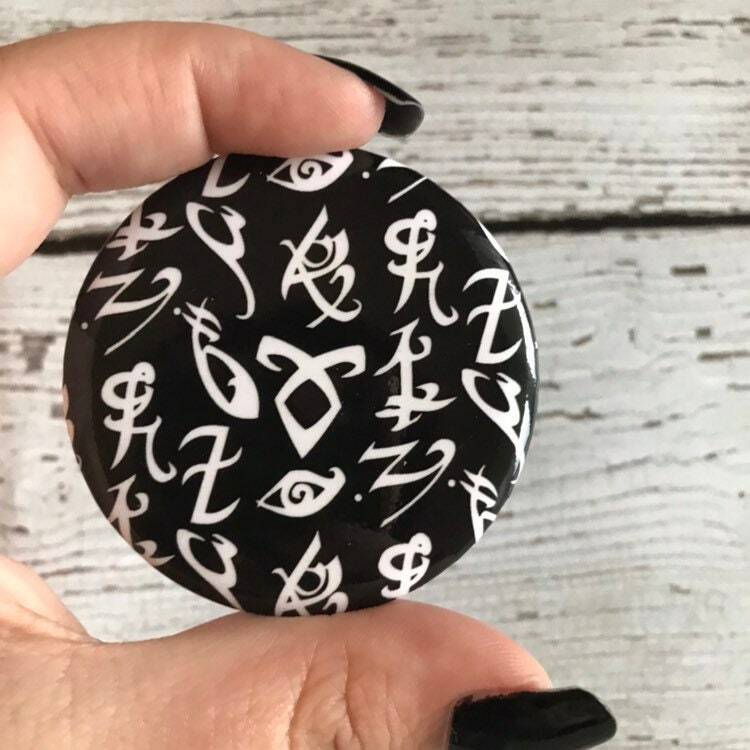 Show your fandom with our Shadowhunter Rune button! 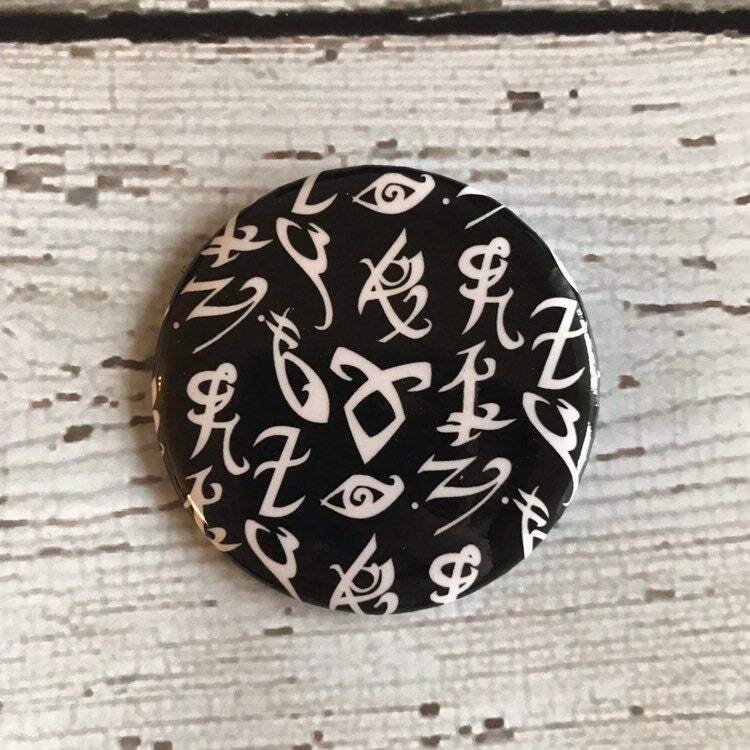 Each button is 2" (50mm) in diameter. 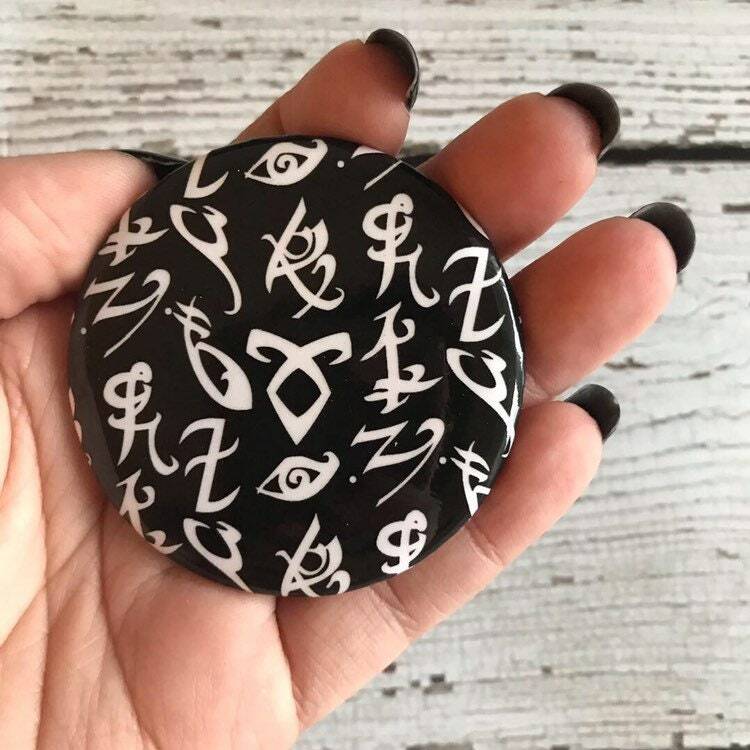 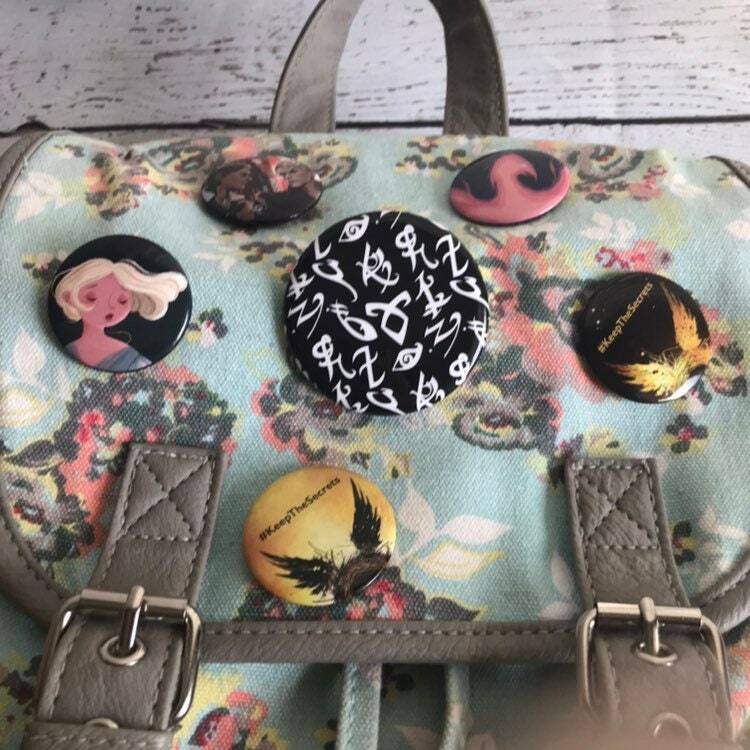 This button also makes a perfect gift for Shadowhunters in training!